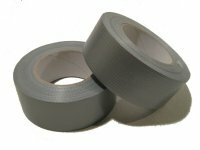 High quality 2.0 mil acrylic carton sealing tape available in either clear or tan 110 yard rolls. 2” wide or 3” wide rolls available. Acrylic adhesive retains its clarity over long periods of time. Will not yellow. This is the same tape we use for all of our shipping needs. Meets UPS and U.S. Postal regulations. 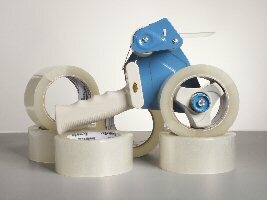 Use with our hand-held or table top tape dispensers. Need helping learning how to use our tape dispensers? Watch this video for a demonstration. Browse these categories under "Tape and Dispensers"